A review of Eagle Health Insurance Company finds American Eagle Healthcare, a company that is no longer selling health insurance coverage. Unfortunately, American Eagle’s parent companies, Health Care One and Elite Business Solutions, were sued by the Federal Trade Commission for deceptively selling healthcare discount programs. The parent companies and all of their subsidiaries, including American Eagle were issued a temporary restraining order from doing business and now all are no longer in business. A visit to American Eagle’s website finds that the domain name is available for sale. Make sure that your health insurance company is in it for the long haul. Let us help you by providing you with a list of health insurance quotes when you enter your zip code into the box above. The company also supplies commercial insurance quotes. To contact the company, call them toll-free at 1-800-316-3002. You can also email them at [email protected]. 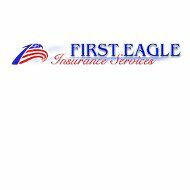 First Eagle Insurance Company is an independent insurance agency. This means that the company is able to provide you with the best insurance policy for your budget and your needs. They do this by shopping around several different insurance companies for your policy instead of having to stay with one particular company. First Eagle Insurance agents are experienced with handling all different types of insurance needs, and know how to figure out the best policy pairings for people looking to save on multiple insurance policies. Besides having to pass California state licensing exams, First Eagle agents attend personal and weekly training sessions. This helps them become familiar with all of the hundred or so insurance companies that First Eagle does business with, along with their policies. Additionally, independent insurance brokers such as First Eagle are able to give their customers more individualized attention. By betting to know your particular situation and meeting with you personally as your life changes, independent agents can tailor your insurance coverage to protect you through life’s stages. Because the company is an insurance broker and not an insurance company, First Eagle Insurance Services does not have a rating from A.M. Best Company. It has been accredited with the Better Business Bureau since June 2011, and has a rating from them of “A+.” The company has no record of any complaints with the BBB, going back three years. An online search for reviews on First Eagle finds a handful of comments, all of them positive. First Eagle has an “Employment” link on its website, which currently lists two job openings. Because the company’s one office is in California, it is safe to assume that both jobs are for that California office. The company is currently looking for an insurance agent and a customer service representative. This might be an ongoing employment opportunity. While First Eagle prefers that applicants have their insurance license, the company will train the right person and see them through the licensing process. It is also safe to assume that First Eagle, because of its position as an independent broker of assorted personal insurance products, has a generous benefits package for its employees, similar to other brokers in the industry. This would include health insurance, life insurance, vision coverage, dental insurance, disability, paid holidays, paid vacation time, paid sick days, and many more benefits that are similar. Make sure that you are protected from life’s surprises. Enter your zip code in the box below and find health insurance quotes from insurance providers in your area.